If it hasn't happened already, at some point in the future, you'll probably have trouble starting your car. It's one of those annoying problems that eventually happens to everyone. Although you may be inclined to panic, especially if you're running late to work or an appointment, it's best to stay calm and assess the situation. The culprit is typically a dead battery or a bad alternator. The battery supplies a significant electric charge to the starting system and spins the engine to start the car. As you drive, the alternator sends current back to recharge the battery when it is running. 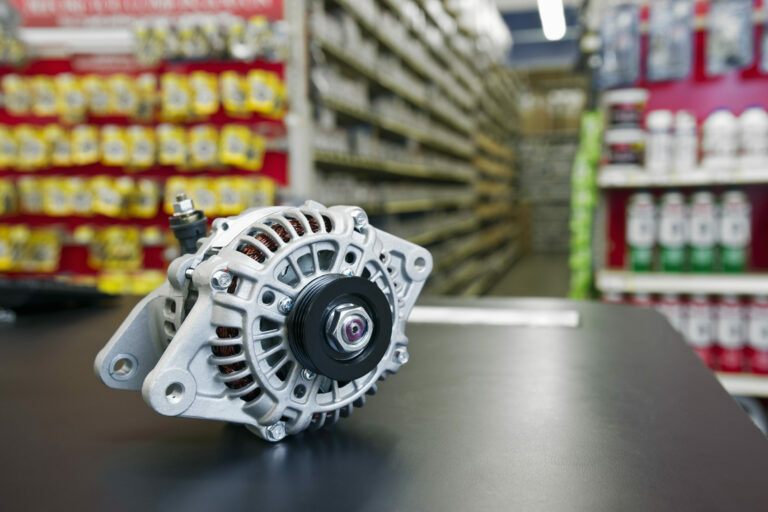 The alternator supplies power to your car's electronics and makes sure the right amount of charge goes back to the battery. Here's how to tell what is to blame for your vehicle's failure to start. If your automobile is harder to start on colder mornings, the cranking of the engine is sluggish, it starts inconsistently, or there is no sound or interior lights when you try to start, it's likely the battery. Your battery may have a loose or corroded connection or an electrical draw. Look under the hood and visually inspect the battery. Visible corrosion on the terminals indicates a damaged battery, which needs to be replaced. If jumpstarting works, it's more than likely a battery problem. The battery could be at the end of its life, or there could be an underlying issue. Consider when the battery was installed. If you haven't changed it in 3-5 years, chances are, you need a new one. As the battery ages, it becomes less able to retain the charge. If you're unable to restart your car after it has been jumped, the battery is probably the problem. The alternator was doing its job of keeping the car running after the car started, but the battery can't hold a charge once the alternator is shut off. A dead battery is the first sign of an alternator problem. You'll need to determine if it's just the battery or an alternator problem by investigating further. The alternator charges your battery when the car is running. If your engine dies right after the battery is jumped, it is probably the alternator. If your interior lights come on and slowly start to fade or get brighter when you accelerate, then it is likely the alternator cannot keep up with the electrical demand when the car is running. If you can't pinpoint the problem or can't get your car to start, call 1-800-AAA-HELP for Emergency Roadside Assistance. Your AAA membership includes roadside assistance, towing, mobile battery assistance, fuel delivery, flat tire service, lockout service, and winching and extraction. Avoid potential problems by maintaining your vehicle at AAA Car Care Center regularly.